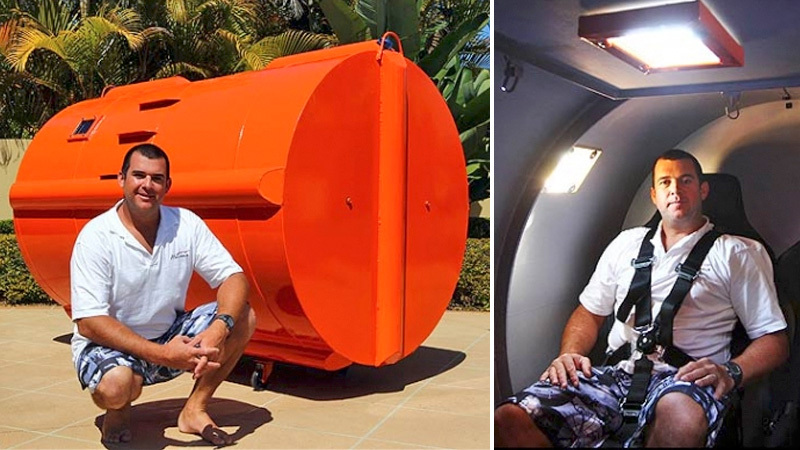 Inspired by the tragic tsunamis that hit Japan last year, Australian houseboat builder Matt Duncan decided to design and construct the ultimate life jacket. 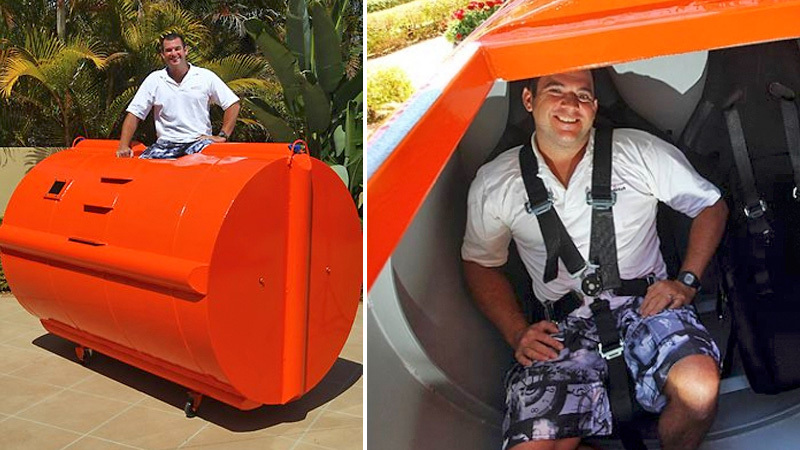 What he came up with was the Tsunami Survival Pod, designed to protect up to four passengers from rushing waters and tons of debris. Made from the same materials he uses in his houseboats—spiral-welded steel, primarily—the pod is capable of enduring up to six tons of weight. But like a car, it also has strategically designed crumple zones to absorb impacts and protect the passengers. A set of rally-style moulded racing seats complete with five-point safety harnesses further prevents those inside from bouncing around, while bulletproof windows let reassuring light in for those who might be claustrophobic. When completely sealed the pod has enough air inside for two and a half hours of survival, but inward-opening access panels let additional fresh air in as needed. It will set you back almost $8,900, but if you live in a part of the world that experiences tsunamis, that's probably a small price to pay for something that could literally save your life.